The best product – the best services. When you buy a Fendt, you get a high-tech product that meets the highest demands. Consequently, you can also expect premium class services from the capable, certified Fendt dealers. Fendt Services offer you a comprehensive range of services, including regular certification of select dealerships with top know-how and premium workshop quality, driver training for improving driving economy or attractive financing and rental offers. This increases your profitability and operational security. Your Fendt dealer only installs original parts. They carry the assurance of series quality and are tested for functional reliability. Everything on board – everything under control! 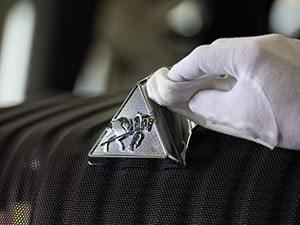 Every certified dealer has a modern service vehicle, proven and optimised tools, service literature, as well as FENDIAS, the computer-aided analysis and diagnostics system. This allows mobile technicians to localise and fix errors quickly. The certified dealers' workshop managers and mechanics are always up-to-date with the latest technology. Equipped with modern diagnostic systems, electronic parts catalogues and online order systems, they get your Fendt back into working order quickly. AGCO Source allows our dealers and service staff to share experience on technical questions quickly. As a Fendt customer, you profit from this continually growing and permanently available knowledge platform through fast technical help, prevention of unnecessary repeat repairs and shorter downtimes. During the harvesting season, your Fendt dealer is available around the clock seven days a week. In the event of a breakdown, a technician quickly comes to your site and repairs your machine as fast as possible. Fast error diagnostics are the basis for fast repairs. 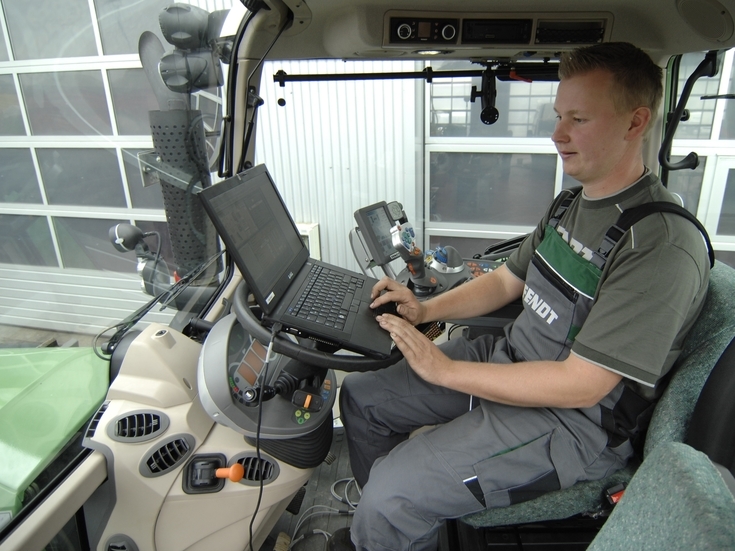 Technicians use FENDIAS to gain access to the digital data inside your Fendt. Data is also collected and analysed, for example, those from the hydraulics or the transmission. All for the sake of continual operational reliability. 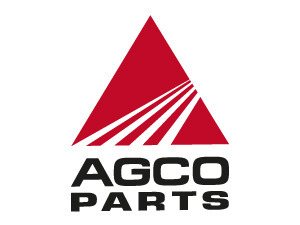 If your dealer does not have a replacement part in stock during the season and orders it by 6:00 pm, AGCO Parts will deliver it to your dealer by 8:00 the next morning. Fendt24 accepts orders around the clock. Your part is ready for shipping from the central parts warehouse within two hours. 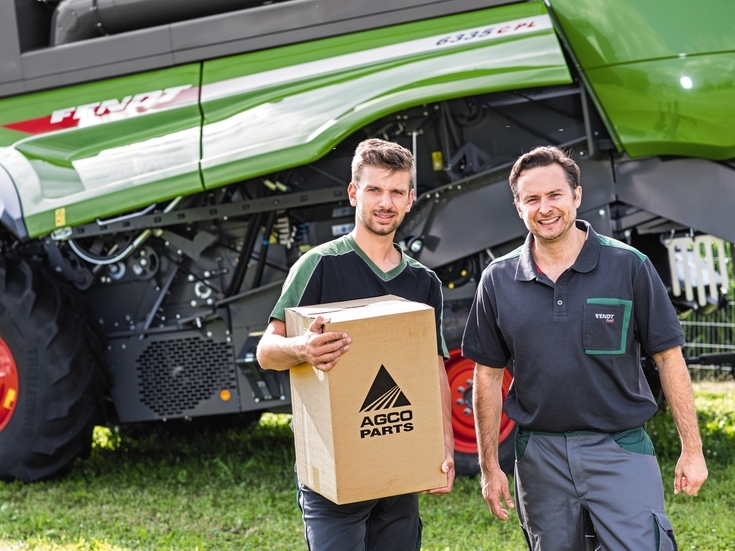 The Fendt Care contract guarantees that if the part causing the problem is ordered by 6:00pm, it will be delivered to your dealer by 8:00 am the next morning. If this fails, a share of the costs for a replacement machine will be covered. AGCO Parts Books contains all the electronically available parts catalogues. Using the parts lists, you can identify all the available replacement parts and order them directly through your Fendt dealer. This way you save time and money by doing repairs and maintenance work yourself. With the Fendt Care contract, Fendt gives you full cost control with the best service. For example, when purchasing your machine, a fixed price can already be set for maintenance and repairs. You then have fully calculable costs and planning reliability for further investments. The Service Package includes all prescribed maintenance work on the basis of attractive fixed prices. 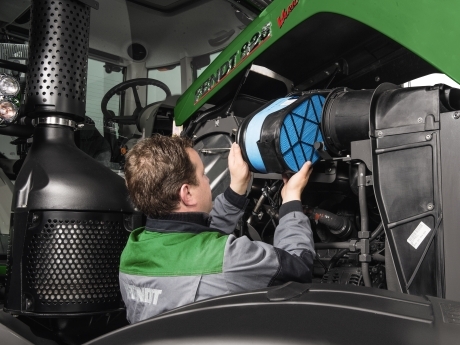 Your Fendt machines undergo regular preventative maintenance performed by competent technicians. Upon your request, your service partner can also take care of the legally required inspections for you. Your dealer will arrange an appointment for you beforehand – ideally at a time when you don't need your machine. 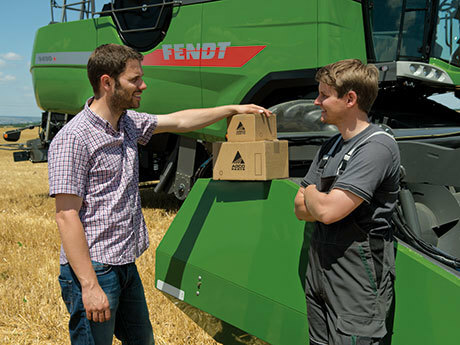 With the Fendt Care package, you keep your costs under tight control. Your Fendt dealer makes sure servicing is carried out regularly and carries out any repairs that are required. Individually tailored from 500 operating hours per year and up to 6,000 total operating hours, Fendt offers customised protection against unpleasant surprises. Fendt rental: Use instead of buy for more flexibility and liquidity. If you have a short-term need for additional capacity or would like to use a tractor over a longer period of time without buying, your Fendt dealer can offer you an ideal solution through customised rental offers. That way your fleet always matches your current job situation. The rental package for your tractor can be tailored to your needs. You have more liquid funds and you can easily calculate the costs per hour. If desired, we can take over all servicing work, complete insurance coverage and repairs*. A true care-free package, all without tying up capital. * Repairs according to Fendt warranty policy; natural wear (e.g. tyres) and malicious damage are excluded. * Repairs according to the Fendt Warranty Guidelines; natural wear (e.g. tyres) and malicious damage are excluded. 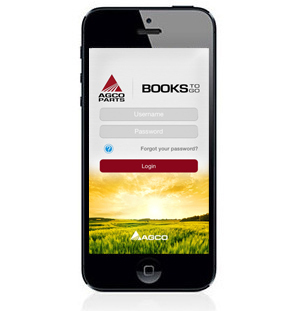 The AGCO Parts Books parts catalogue system is available starting immediately. Please contact your Fendt Dealership to get your personal login data. view spare parts lists wherever you are! The app is available for your smartphone through the App Store or the Google Play Store. Please contact your Fendt dealer for your personal access data.